While top-of-the-line home security systems prevent theft, smaller and more affordable gadgets do too—like these 20 home security products under $20. Give the gift of better security this holiday (and all year round) by shopping for home security devices that won’t break the bank. Intruders literally bank on coming and going without being seen. 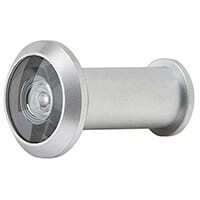 But you can stop them in their tracks with this outdoor security spotlight. 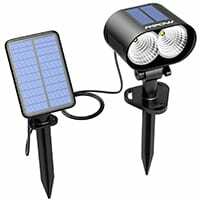 We’re big fans of Mpow’s solar spotlight because it’s motion-activated and relies on solar power for extra security in the event of a power outage. 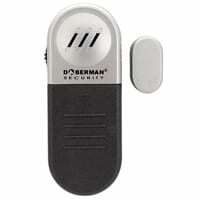 This door alarm has you covered with a 100-decibel siren—about as loud as a jackhammer—to scare burglars off before they can harm you or your home. Plus, the easy installation means you can start protecting your home in minutes. Weak locks and breakable glass make sliding glass doors easy access points for intruders. 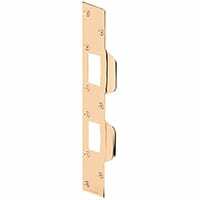 Add extra security with this aluminum bar that helps prevent a thief from prying open your sliding glass door. But don’t forget to keep patio doors and other sliding doors locked—a security bar isn’t enough protection on its own. If a criminal thinks they’re being watched, there’s a good chance they’ll abandon their break-in attempt. That’s the whole idea behind UniquExceptional’s fake security camera. 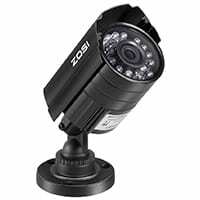 Install these “cameras” inside or outside your home to give the illusion that it’s protected with high-tech security. Visible valuables like electronics, jewelry, and nice furniture tempt curious trespassers to break into your home. 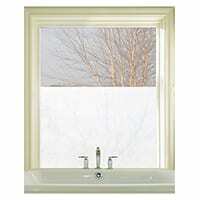 But when you use Etched Glass Window Film, they won’t be able to see what’s inside or if anyone is there. This window film also offers privacy without blocking light—it just blocks nosey people who are up to no good. Pre-cut to standard window size of 24 x 36 in. See who’s at the door before you open it with Schlage’s one-way wide angle “peephole” viewer. The thick glass and 190-degree angle view let you keep an eagle eye on your front porch. And it only works one way, so you don’t have to worry about giving strangers a view of your home. Gun safety is important, and if you use a gun to help protect your home and loved ones, then this portable gun safe will make sure your firearm is secured at home or in the car. You can use the key or the three-digit combination lock to keep your handgun or other small valuables (like a passport) safe from little ones or thieves. Thieves break into garages in under six minutes, on average, and smaller sheds in even less time. The SABRE Shed and Garage Alarm is your defense against these kinds of attacks, because the sensors sound an ear-piercing alarm when they detect motion. Plus, SABRE’s alarm is better than most because it has a combination keypad, so you’re the only one who can turn off the alarm—not sneaky intruders. You don’t have to spend a fortune to keep an eye out for troublemakers with a security camera. For just a few bucks more than the fake security camera on our list, you can have this four-in-one security camera. 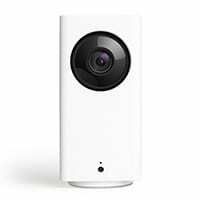 It works inside and outdoors, and it’s our overall top pick for cheap security cameras. Night vision up to 65 ft. 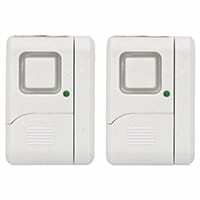 If anyone tampers with your windows or doors—locked or not—these GE alarms trigger a startling siren. These entry sensors come with an on, off, or chime mode too, so you can select the security function you need throughout the day. 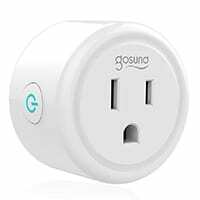 Use this affordable smart plug to turn lights, the TV, and other electronics on and off—even if you’re across town. This gives the impression that someone’s home, which can scare off an intruder. You can also turn lights on as you turn into the driveway to make your trip from the car to the house bright and safe. Give the illusion that your house is protected by a top-of-the-line security system—even when it isn’t—with the GE SmartHome package. Hopefully, the idea of 24/7 surveillance will send a burglar running in the other direction. This personal security alarm gives you portable safety wherever you go. 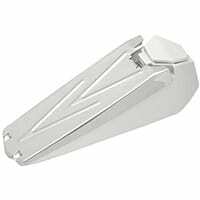 We love the Vigilant model because it’s affordable, long-lasting, and loud. 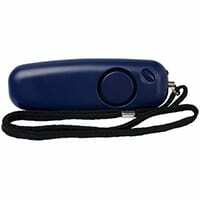 If you ever find yourself in a dangerous situation—whether in the driveway, jogging, or out on the town—trigger this alarm to scare off your assailant and call for help. Alarm sounds for up to 60 min. Deadbolts are built to last, but they can’t do their job if the rest of your door is vulnerable to kicking, prying, and ramming. The solution? 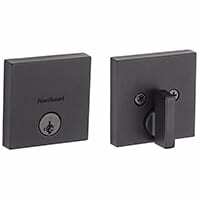 Replace your deadbolt strike-and-latch with Defender Security’s hardware to prevent thieves from entering with force. 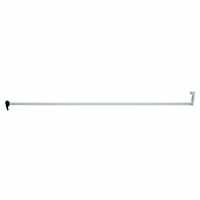 The long screws included with this product add extra strength and durability to a potentially weak portion of your door. This cheap home security idea is another way to reinforce doorways—and it works with both interior and exterior doors. 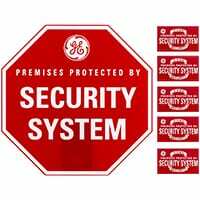 The GE Personal Security Door Stop restricts access to entryways and triggers an alarm in the case of forced entry. The rubber base provides traction on wood, tile, vinyl, and carpet, and the whole doorstop turns on and off, so it’s armed only when you need it to be. Security doesn’t stop at your front door. 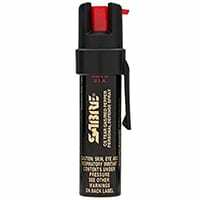 This compact pepper spray device goes with you everywhere and is easy to use in a crunch. It’s the same brand used by police officers around the globe, and it features red pepper, military-grade tear gas, and UV marking dye. Know whenever someone enters your driveway—in a car or on foot. 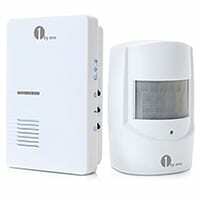 This PIR (passive infrared) motion-activated alarm alerts you to “visitors” with a siren, a chime, or a silent LED flash. 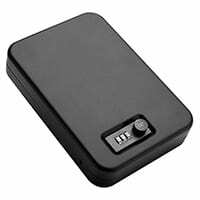 Best of all, it can pair with multiple receivers and sensors so you can cover a large area. You don’t have to drop a load of cash to get smart home security. 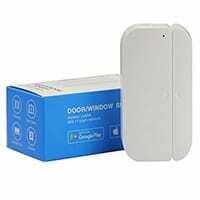 These window and door sensors work with IFTTT (If This Then That), which means you could use the free app to connect and control other smart devices, like smart lightbulbs. 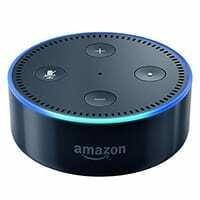 You also get voice control with Google Home or Amazon Alexa. Plus, there’s no hub required—so you won’t need to spend any extra dough. Push notifications within 3–10 sec. This little kit is a dream come true if you live in a dorm or apartment, or if you have roommates. 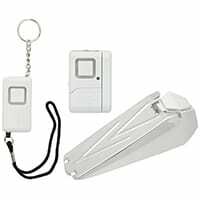 There are three alarms included—a doorstop alarm (doubles as a door jam), a window/door sensor, and a personal protection keychain alarm (with a built-in light). 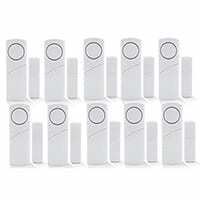 And you can have all of these apartment security devices for less than $20. You get ten window and door sensors in this surprisingly affordable kit. Magnetic sensors make it easy for you protect doors and windows on every level of your home without forking over a small fortune. 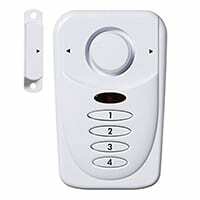 While we were looking for the best cheap home security ideas, we came across these great products that are still affordable but not under our $20 limit. If you have a few more bucks to spend, check out these home security devices that offer extra protection—and keep the price tag under $40. Add automation to lights, locks, etc. 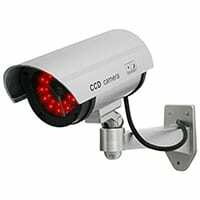 There’s so much more you can do to ramp up your home security in addition to buying some of the cheap home security products we featured above. SafeWise experts have researched all aspects of home security, from the best smart locks to the top smoke detectors. Take a look at the resources below to make your home safer and protect yourself and loved ones from all types of danger. Learn how to keep your garage (and the rest of your home) safer using home automation. Compare top smoke detectors and fire extinguishers, so you know your home is protected. Protect against dangers outside your home and ones that come from within with a guide to the best carbon monoxide alarms. Lock up firearms and other valuables with our reviews of the top in-home safes. It’s possible to piece together your own home security components without breaking the bank, but if you’d like to do more to protect your home, let us help you find a comprehensive home security system. Start by comparing top home security companies that provide top-of-the-line products, customizable services, and competitive pricing to find the best and most affordable safety option for you.